"Whether you are a seasoned musician or a complete beginner, RelativePitch will have you listening with a sharpened ear and a greater appreciation of the music you love." 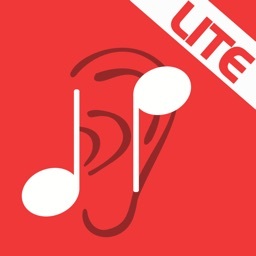 "A well thought-out, educational and informative app." You're not getting everything you could out of music. That's unfortunate, because you've always loved music. You have albums you've listened to a hundred times over, and you play or sing a little yourself. 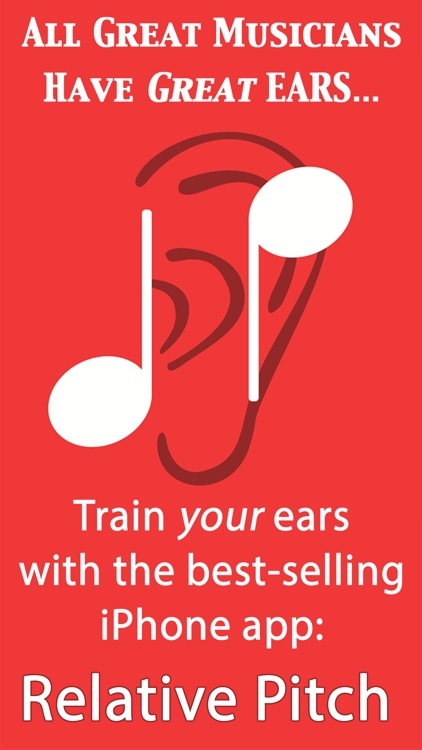 You might even have put in hours of practice to become quite good at your chosen instrument. The trouble is that you're not able to do what you always wanted to do, which is •understand• music as easily as you breathe. • You want to be able to improvise with other musicians, riffing off one another all night long, coming out with newer and more innovative sounds as every hour goes by. 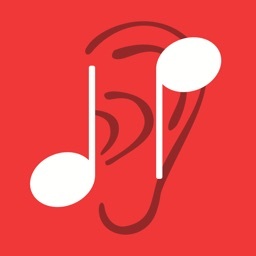 • When a friend of yours is singing, you want to be able to join in harmony easily and effortlessly, adding another layer into the song without having to figure out each note. 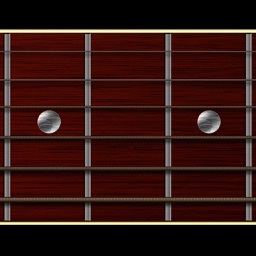 • You've often had songs in your head that you badly want to bring out into the real world, but you can't figure out how to play them on your instrument. 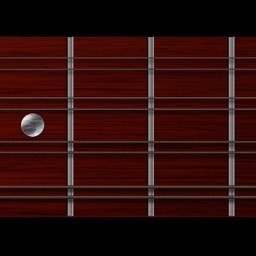 • Other musicians occasionally listen intently and ask if you heard the subtle little change that the artist just made, just then. You nod, but you can't hear it. 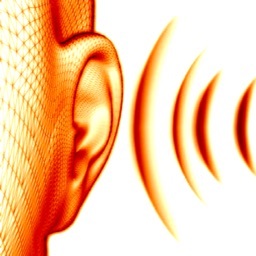 You don't know what you should be hearing. 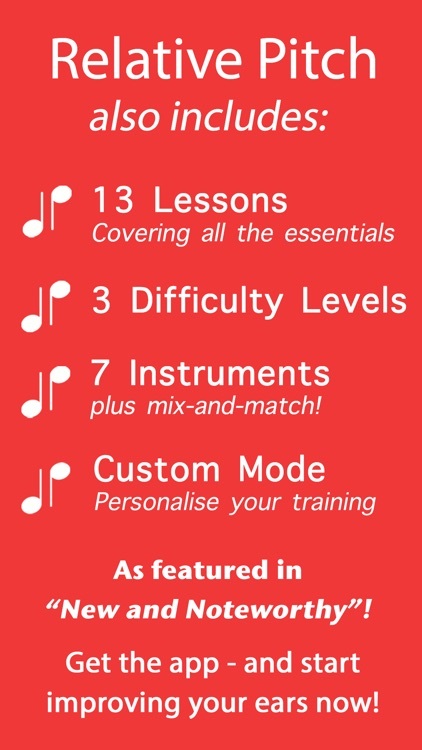 • Training Mode – 13 lessons guide you from beginner to expert, teaching you all the intervals in the octave. 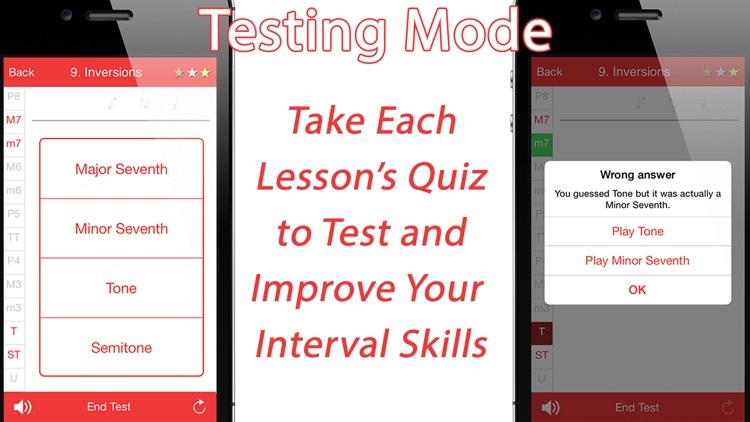 • Testing Mode – Check your progress by trying to get the highest score in testing mode. 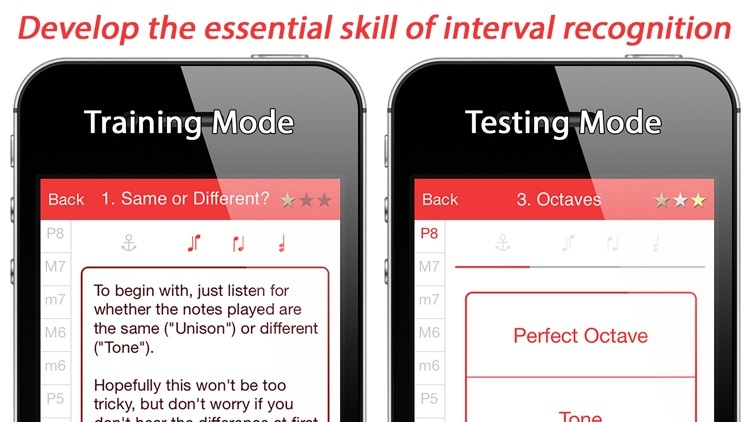 If you distinguish intervals correctly, you'll unlock new levels and new challenges in training. 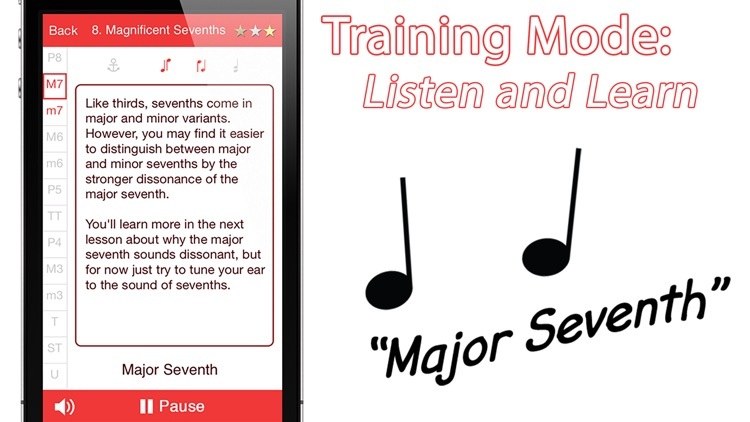 • Simple interface, fun to use app, and all the interval training you'll ever need to have an ear that catches the subtle and crucial sounds for a perfect song. • A wide choice of high quality instruments, including Piano, Guitar, French Horn, Clarinet, Violin, and Male and Female Singing Voices. 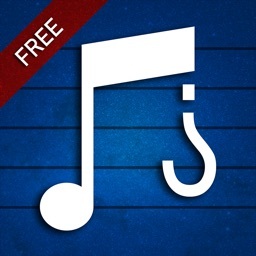 You're just one step away from getting so much more out of the music you love.